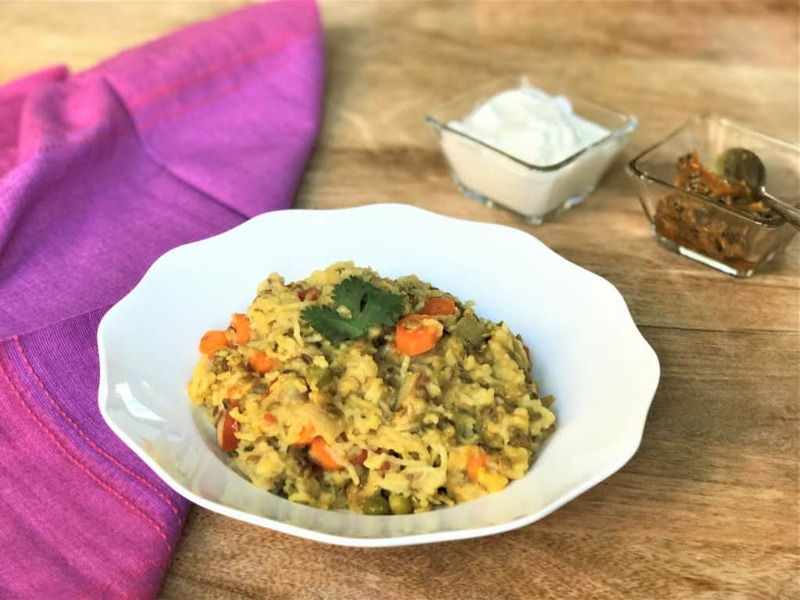 Lentil & Vegetable Khichdi or Masala Khichdi made in Instant Pot or Pressure Cooker. This is a one-pot Indian vegetarian dish made with lentils, rice and vegetables along with simple spices and ghee. This is the epitome of comfort foods all over India. 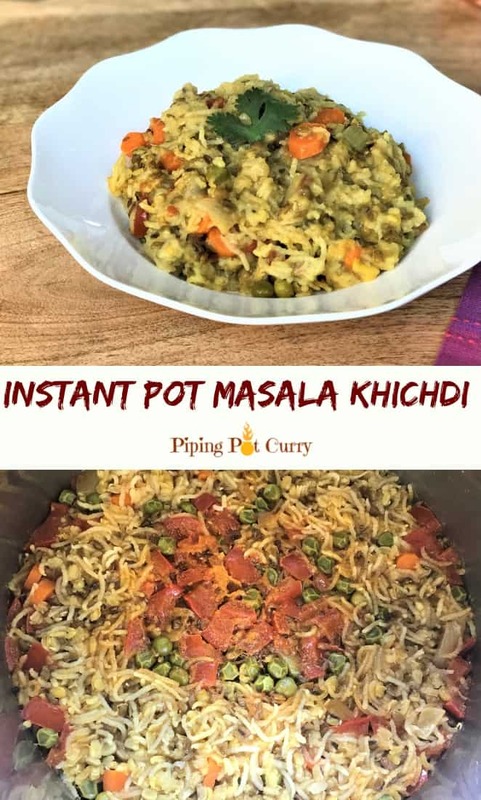 Khichdi is best cooked in a pressure cooker, so Instant Pot is the perfect gadget to cook Khichdi. This Masala Khichdi is also called Vaghareli Khichdi in the western state of Gujarat in India. Khichdi is enjoyed with pickle, papad, yogurt and lots of ghee. Khichdi is like a porridge, hence we add more water when making khichdi. 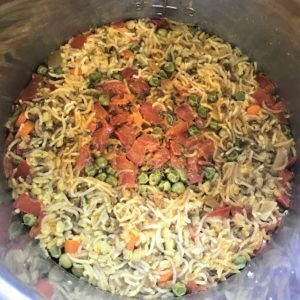 If you like rice grains separate and not all mixed up, then try this Vegetable Pulao in the Instant Pot. √ The combination of lentils, rice and veggies makes Khichdi a complete meal. Lentils provide the protein, rice provide carbs and the veggies provide a whole lot of nutrients. √ Easy to digest, which makes it a great meal for babies and the elderly. √ It is also a perfect meal when you are under the weather and looking for something light. √ It is vegetarian and gluten free. 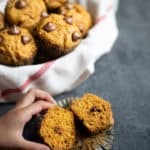 To make this recipe Vegan, replace the ghee with your favorite plant based oil. 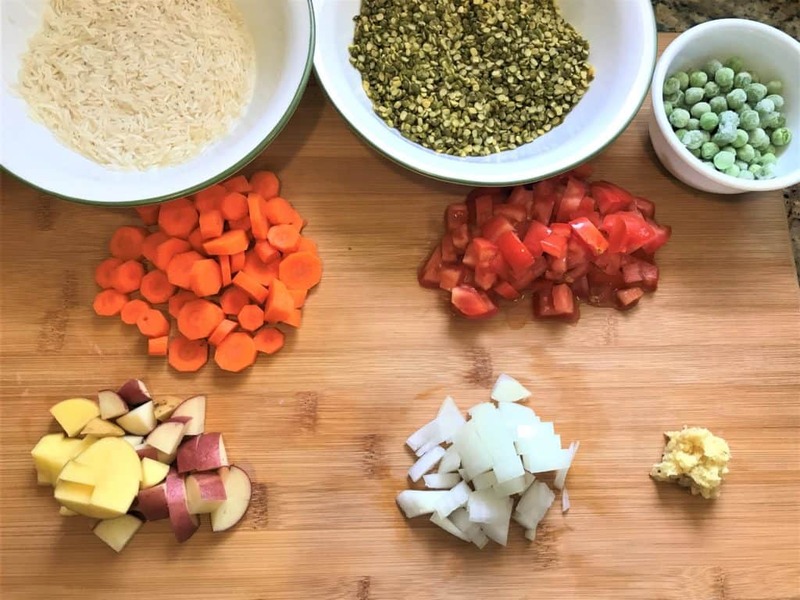 √ This dish is very versatile, you can use the split lentils you like and the veggies you have available, and it always turns out great. Isn’t that wonderful? A no-fail dish. I got really excited when I saw Khichdi or Khichuri featured on NPR recently. They called this “An Ancient Indian comfort dish with a Global Influence”. This is so true, all over India Khichri is prepared in a variety of ways, however we find similar things in other cultures too. Based on the NPR article, the Anglo-Indian variation of Khichuri is Kedigree, but it omits the lentils. Khichri is also thought to be the ancestor of Egypt’s national dish, koshary, which is made with rice, lentils and macaroni. Khichri is also similar to mujaddara, another Middle Eastern comfort dish with rice and lentils. It is a small world! 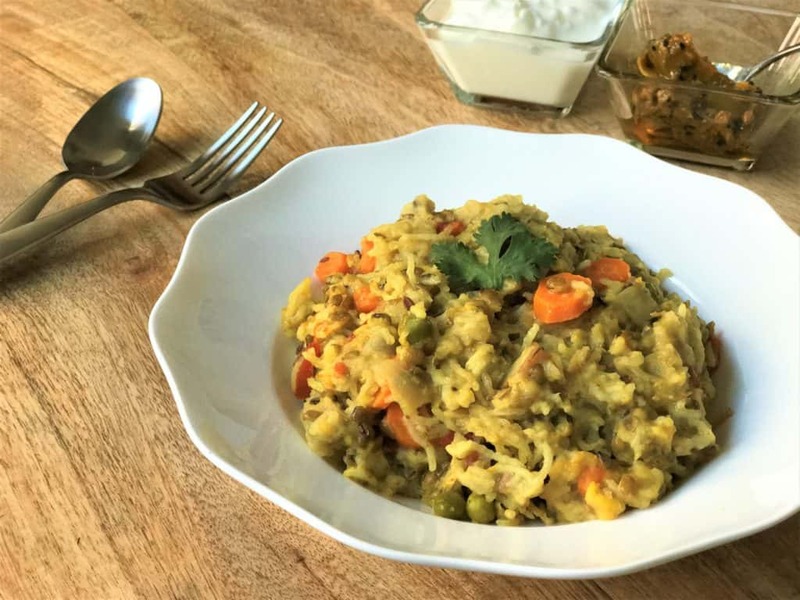 How to make Vegetable Khichdi in the Pressure Cooker? Khichdi is rice and lentils cooked well or sometimes even overcooked. Unlike other rice dishes where the grains must be separate after cooking, in Khichdi they are supposed to be softer and maybe a little mushy. However you can adjust the consistency to your liking by adding less or more water. As I mentioned, there are many ways of making khichdi. Today I will be making it with split green moong lentils and veggies. I previously shared a recipe for making Khichdi with yellow moong lentils, without the veggies. So here are all the ingredients I used to prepare the Masala Khichdi, minus the spices. I did not add any whole spices, but you can add spices such as black peppercorns and cinnamon to get their wonderful aroma to the dish. I used fresh vegetables this time, but you can use frozen vegetables as well. In most recipes you will find khichdi is prepared with 1 part lentils and 2 parts rice. I like to increase the lentils and make the ratio 1:1, that way we can get more protein in our meal. Start with heating ghee in the Instant Pot, then add in the cumin seeds and ginger. A variation of khichdi is to not add ginger or onions, however I love ginger too much to skip it :). If you like, you can make ghee at home in your instant pot using this recipe. Now add in the veggies and spices. You can use any veggies you have available. I had carrots, tomatoes and green peas in the refrigerator. Oh and also potatoes, so I used them. But go for your favorite veggies. I have used cauliflower, broccoli, edmame, spinach previously too. Then add the washed split green moong lentils and rice. Add in the water, and you are done! Close the instant pot lid with vent in sealed position and cook it on manual or high pressure cook mode for 5 minutes. Do a 10 minute natural pressure release, the khichdi will be ready for you to enjoy. Eat it with some yogurt raita, salad or papad. Oh..and don’t forget to top it off with lots of ghee. To make this recipe on stove top and vegan, check the recipe notes. 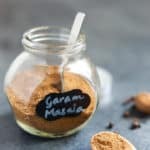 Want to find other easy Instant Pot Indian Recipes? 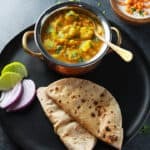 Here are 23 Best Instant Pot Indian Recipes for you to try! A one-pot dish made with lentils, rice and vegetables along with simple spices and ghee. The epitome of comfort food all over India. Start the instant pot on Sauté mode and heat ghee in it. Add cumin seeds and let them bubble for 30 seconds. Then add onions and ginger. Let them cook for a minute. Add all the veggies and spices. Stir them well. Add the lentils, rice and water. Stir them well with the veggies. Close the instant pot lid, and change the setting to manual or pressure cook mode for 5 minutes at high pressure with vent in sealing position. When the instant pot beeps, do a 10 minute NPR. This means release the pressure manually 10 minutes after the instant pot beeps. Garnish with cilantro. Serve hot with additional ghee to top it. You can add more spice with green chilies or increasing the quantity of cayenne in this khichdi. I kept it mild, so everyone in the family can enjoy it. You can vary the vegetables added to this khichdi. 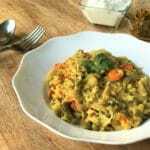 I used split green moong lentils for this khichdi, you can use yellow lentils too. 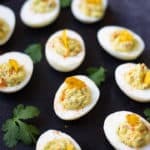 Created: This recipe was created in a 6qt Instant Pot DUO60 Multi-use Pressure Cooker. 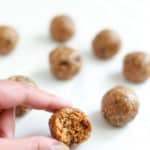 Vegan Variation: To make this recipe vegan, replace ghee with oil. 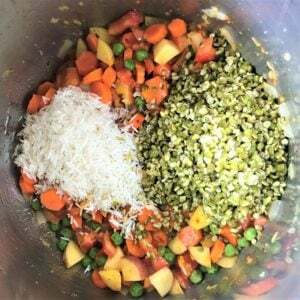 Stovetop Variation: To make this khichdi on a stovetop pressure cooker, follow the same steps and let it cook for 3 whistles. Can I use any other dal variety instead of split green moong? Hey Ramya – Yes, another split dal (eg. Moong, Toor, Split Masoor) will work in this recipe. Hope you enjoy it! Is this supposed to have Masala in it? I don’t see it listed. Hey Suzanne – They are listed under spices, mainly turmeric, red chili powder and salt. Hope you enjoy it! Hello, My whole family loves this recipe. Do I need to change anything if I want to double to recipe? Hi! 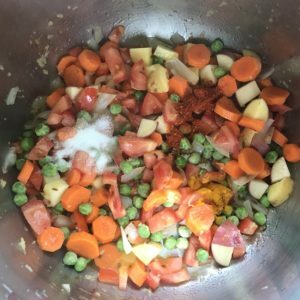 I’m trying to use some ingredients that I already have on hand and was wondering if you think I could substitute Urid whole dal for Split green moong lentils? Any idea on how/if to adjust the cooking time? Thank you! I’ll try the lentil soup. Would it work in a Crock Pot? dont have a pressure cooker but would love to try yojr recipes in the slow cooker. Hey Karen – I have not tried, but this could work in a slow cooker too. I would say add a bit more liquid and start with 4 hours in the slow cooker. 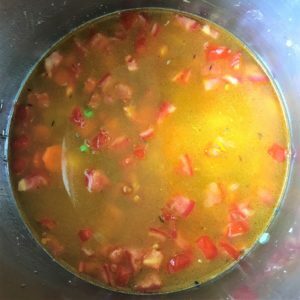 For stovetop in a pot, do similar to the steps in the recipe. Add 1/2 cup additional water. In place of pressure cooking, cover with a lid and cook for about 20-25 minutes on low heat. Stir in between. It should reach a porridge like consistency. Hope you enjoy it!